Want to see the highlights and secrets of Charlottesville? Take a casual tour of the city including historical sites, University of Virginia, and exciting new areas. Have a dream tour that you’ve always wanted to make real? Let us do the legwork. Getting together on bikes makes any event more memorable. We will make your corporate outing or teambuilding event one you will be proud of. Saul has been riding, racing, coaching and exploring the planet on two wheels his whole life. He and his wife Michele have called Charlottesville home since 2006. 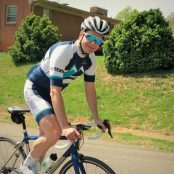 Andy and his wife have been running and riding for as long as they can remember. Minneapolis, MN is their home where they enjoy the 3-hours of summer annually and their cat Buddy. Sarah loves to ride uphill. She and her husband Duane call Charlottesville home. When the sun is shining you can find Sarah riding up on the Blue Ridge Parkway. 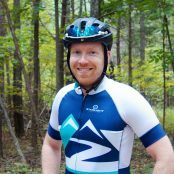 Bryan “BSlow” Lewis is a professional road and mountain bike racer. If you want someone who can show you a great ride while pulling a semi-truck, he’s your guy. We had a fantastic tour with our leader, Sarah. She took us on a 2 hour bike, education and just a really enjoyable tour. The entire experience could not have been better and easily surpassed our expectations. 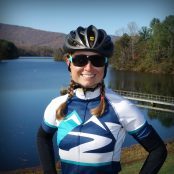 Thanks Sarah and Blue Ridge Bicycle Tours! What can I say other than FANTASTIC!! The rides were amazing and the staff was awesome!! No matter what our request was, they did their best and made it happen. 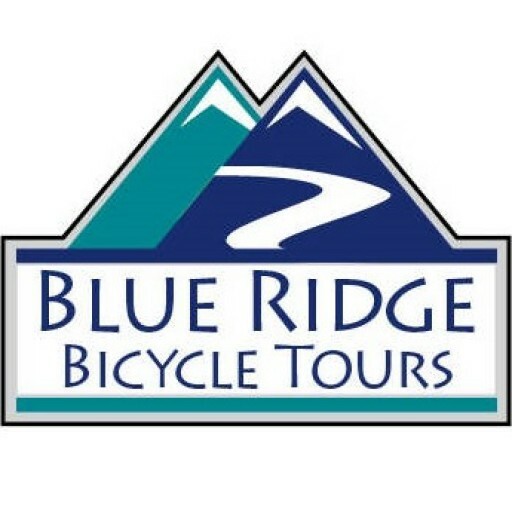 I would definitely recommend Blue Ridge Bicycle Tours and will be using them again in the future. We had a corporate group outing with Blue Ridge Bicycle Tours and it was a great event. The team there was fantastic to work with leading up to the tour and everyone who went on the outing came back raving about the fantastic experience. Would recommend these guys highly. We enjoyed exploring roads near Charlottesville with the BRBT guides. Riding with guides is a great way to do first rides on scenic roads without stopping to read a map. My son enjoyed the experience as much as me. 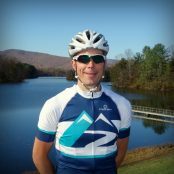 I cannot say enough about the Blue Ridge Bicycle Tours organization. Run out of Charlottesville, VA by Saul I booked a tour near Blowing Rock, NC last fall. Could not have had a better experience. Can’t say enough about about my guide Bryan Lewis. Don’t hesitate to book with them; great experience! 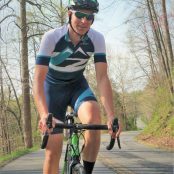 This was my first ever touring company trip, The Blue Ridge Bicycle Tours team delivered with really great accommodations, amazing routes with various distance options, safe riding structure and a really great mix of people. Look them up and book your trip!